White King – Charles I by Leanda de Lisle reviewed on Shiny New Books today! Another review on Shiny New Books today! This is a non-fiction book, but as I explain in my review, it reads more like a novel. Was King Charles more sinned against than sinning? Was he misguided? What about his wife, Henrietta Maria? Lots of questions and many answers in this book. Like her earlier book, “The Tudors” this is an immensely readable book which I have greatly enjoyed reading. 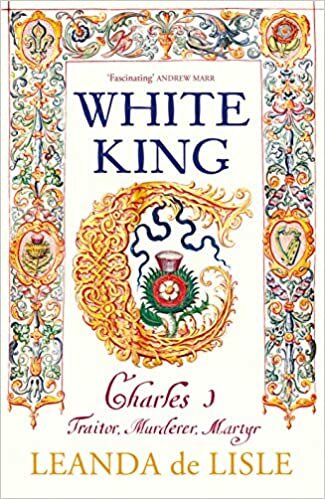 See https://shinynewbooks.co.uk/white-king-the-tragedy-of-charles-i-by-leanda-de-lisle/ for my full review. 1 Comment White King – Charles I by Leanda de Lisle reviewed on Shiny New Books today!